Dress Down for the Dawgs Archives • Extra Special People, Inc. 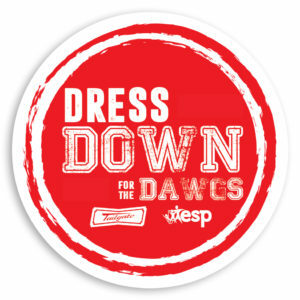 Wear the official #DressDownfortheDawgs t-shirt this football season, and show your support for people with Down syndrome! Shirt is also available for purchase and immediate pickup at Tailgate downtown. 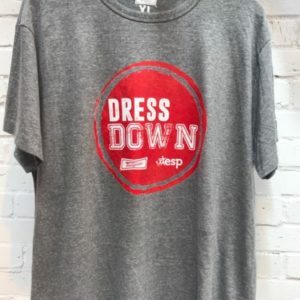 Spread the Dress Down love! Get one button and five stickers to share with the bundle.